My golden flowered basket! It doesn’t get more charming than this! 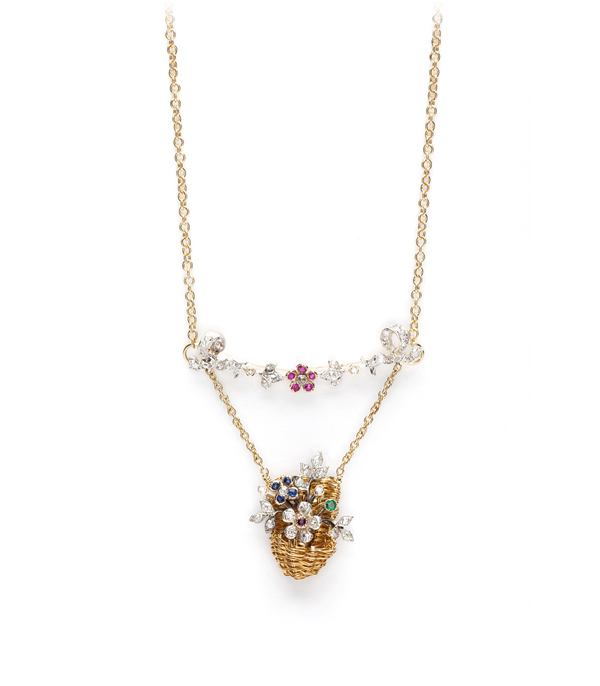 Originally a brooch (circa 1920/30s) this piece has been delightfully transformed into a whimsical, tiered emerald diamond sapphire ruby vintage flower basket gold necklace. 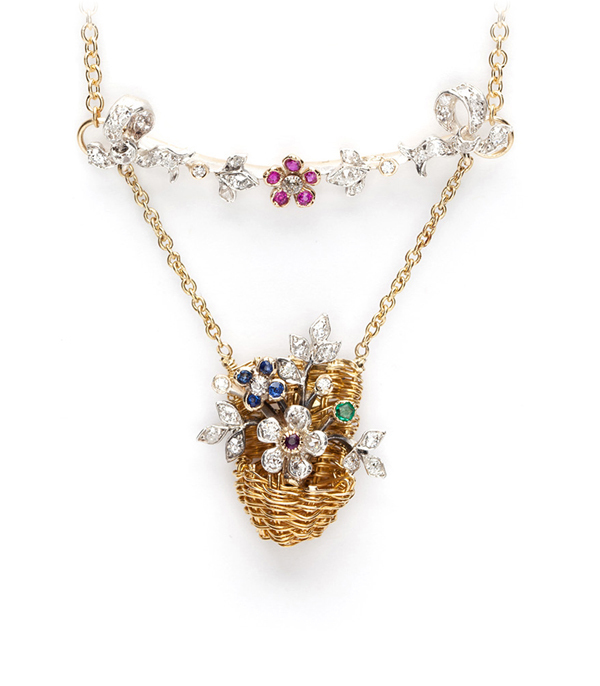 An adorable basket of 18K woven gold wire is highlighted with diamond, sapphire and emerald flowers and sways gently from a diamond-dotted bough with ruby flower accent. Romantic and overflowing with character, this emerald diamond sapphire ruby vintage flower basket gold necklace is a vintage lover’s dream!